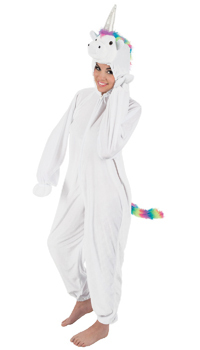 LE COSTUME COMPREND : COMBINAISON BLANCHE ET ROSE AVEC CAPUCHE EN TETE DE LICORNE. LA QUEUE ET LES AILES SONT ROSES. 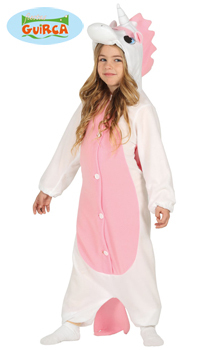 COMBINAISON FACON KIGURUMI OU PYJAMA.